Books, Stories, and Novels like 'The Wolf Among Us' game! What happens when two pigs need to battle a bloodthirsty witch, that wants their hearts? Who knows? 4 stories. 2 witches.2 kids. one werewolf and two little pigs. Fairy tales exist to entertain us time and time again. 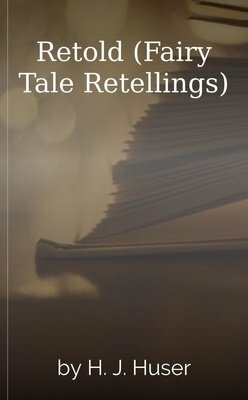 Join a plethora of unusual (and ordinary) characters as they embark on a journey to retell the original tales which their worlds are based. Chris Colfer, author of The Land of Stories, finds himself transported into a world of his imagination…with a few Glee-ful differences. Can you guess who Kurt, Blaine, Rachel & the others have become? 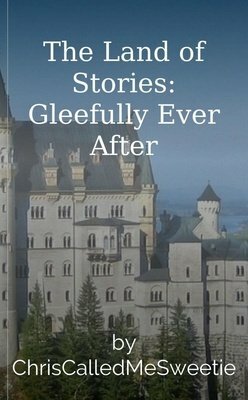 If you love Glee and you love fairy tales then you'll love this story. Nearly every single Glee character from the first three seasons shows up as a fairy tale character. It's also got plenty of adventure, humor, and romance. Must read! After the villain has been vanquished. After the big kiss. After the wedding. That's all there is, right? Wrong. The story is not over. It's barely begun. First chapter read and I'm already hooked! 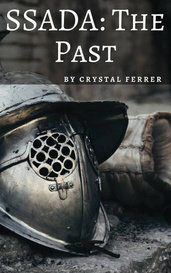 The author has set the scene well and the characters have been well developed. I noticed a couple of misspellings but nothing too serious. I hope that the author continues with the story as I really enjoyed it. An allegory of Arthur Conan Doyle's efforts to be remembered - and for things of more importance than those silly Sherlock Holmes pulps. Originally published August 2, 2014. Alina's mother's dead and her father's overprotective. She can only go out on Halloween. But what will happen when she starts seeing things she shouldn't have? The dead walk among us on Halloween. Never in my wildest dreams would I think the Leaders of the Four Tribes would come to Earth and ask for my hand in Marriage! But before I decide I want to get to know each of them first. Can you reconcile the ordinary world you thought you knew with the warped, twisted, and fantastic creatures that haunt it—or will you go mad trying? This is a great start and I can't wait to read more. I really like the idea and the many possible directions it could go in. There aren't many grammatical errors I could find. It went by so fast that I didn't even realize it was over. Can't wait for more! Her family died for a secret. She met a fairy as she ran from the assassin. It ended with a bang... but it started with a fairytale. "My name is Jayde Henryk, and this is how I survived." From the tiny ball came a tiny sound. To the woman’s old ears it sounded like a yawn, A smile set on the little things face as it spoke for the first time. “Good morning Mother” it said. When Gina is accidentally sucked into her favorite fairy tale, she discovers things aren't as they should be, and decides it's her job to set them right. Can a spoilt brat ever become a humble homemaker? Can a rebellious girl transform into the perfect wife? Solomon has only a few months to find out. This is Cinderella like you've never seen before. When strange things start to happen to Lilly it's up to her to figure it out and she starts to unravel lies and deception. Is her life a lie? Caution should be used, especially when dealing with unstable magic.